Hand selected to compliment the class-leading Titus range of full suspension mountain bikes, the On-One range of rear shocks and rear shock service kits is perfectly matched- taking much of the endless searching, compatibility checking and deal finding out of the equation. Our designers spent a long time searching the world's suppliers for the very best in rear shock technology, and the resulting range represents the ultimate in price-to-performance. 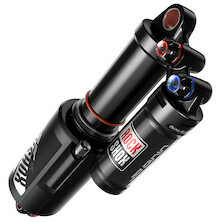 Trail ready, highly recommended rear shocks from Rockhox and Cane Creek. Featuring silky smooth travel in a new lightweight design, Monarch floats through bumps even better than before, turning rugged trails into tire-gripping velvet. The chassis is lean while maintaining the durability and adjustability needed to bite off huge chunks of burly trail action and epic cross country. 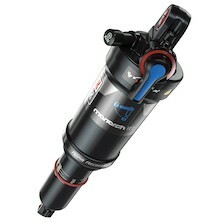 Vivid Air R2C piggyback rear shock from RockShox.